Beretta M9 pistols have been manufactured by ‘Fabbrica d’Armi Pietro Beretta’, the Italian based multinational weapons manufacturer. It is a .354 caliber (0.354 inch or 9 mm), 9×19mm Parabellum semiautomatic pistol. The 9×19mm Parabellum cartridges were designed by Austrian firearms designer Georg Luger and was manufactured by German weapons manufacturer DWM for the German Luger pistols. The name Parabellum is originated from the Latin phrase ‘Si vis pacem, para bellum’ which means ‘If you seek peace, prepare for war’. This phrase is also the motto of DWM. With its wide availability and low cost, Parabellum is the world’s most popular and widely used military pistol cartridge. Over 60% police in the United States use these cartridges. The Beretta M9 won the bid in the 1980s to replace the M1911A1 as the standard-issue primary sidearm of the US Army, Navy and Air Force. There were many contenders and the last battle was between Italian M9 and the German-Swedish SIG P226. Eventually, Beretta M9 was selected due to cost reasons. It has a length of 8.5 in (217 mm) and weighs 2.56 lbs or 1.16 kg. It uses a short recoil and single or double action technology with a 15 round box magazine. The lifetime of a M9 is expected to be 25,000 rounds. The handguns were used as standard issue handgun in the Invasion of Panama, Persian Gulf War, War in Yugoslavia and War in Afghanistan. In 2006, M9 design was upgraded to M9A1 and limited numbers were issued to US Marine Corps. Due to some performance debates, Beretta came up with its M9A3 upgrades in December 2014. However, United States army decided not to evaluate M9A3 and opted for purchasing new service handguns due to a cost-benefit analysis showed that new purchases would be cheaper than refurbishing old M9 pistols. American firearms manufacturer Smith & Wesson is expected to become the next handgun supplier for the US Army. The weapon manufacturer was founded in 1852 and is headquartered in Springfield, Massachusetts. It is planning to submit its lightweight M&P (Military and Police) pistols as a contender of becoming the standard-issue handgun of the US armed forces. 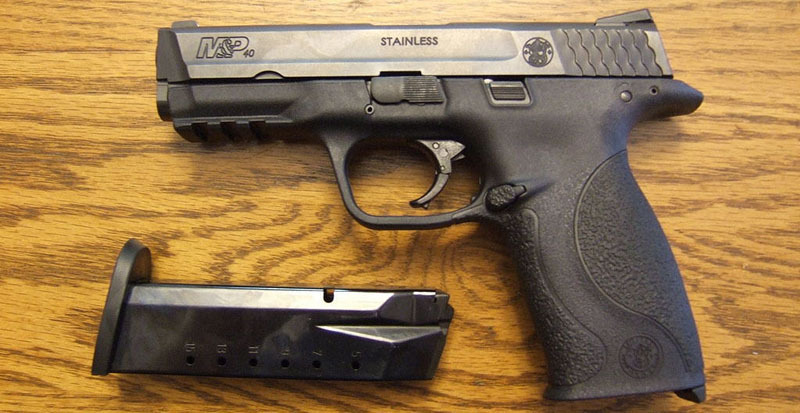 M&P is a polymer-framed, locked breech, short recoil operated, semi automatic pistol. Besides targeting the law enforcement agencies as potential buyers, M&Ps are also obtainable in the commercial market. These polymer pistols have become quite popular among cops and civilians. The US army did not specify frame material of the gun, but asked for a powerful handgun. The M&P provides an improved trigger weight; it has got an internal lock option and an external thumb safety. A number of armed forces in around 24 countries and some UN security forces are users of the M&Ps.